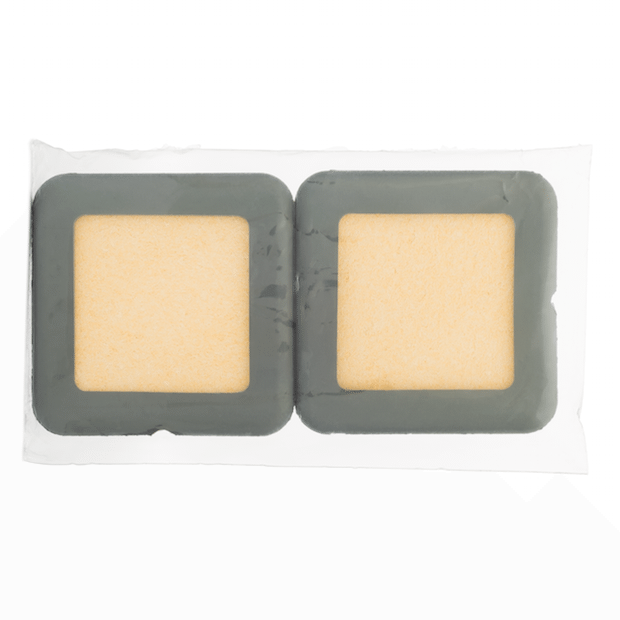 These Professional tDCS Sponge electrodes by Amrex are the top-of-the line electrodes for use with tDCS. They made from high-quality rubber material and replaceable sponge inserts. Each pair is sealed in plastic during the assembly process to retain their quality and cleanliness. Professional Amrex tDCS Sponge Electrodes are arguably the best sponge electrodes on the market, and are preferred by many tDCS enthusiasts. Amrex Electrodes use only the highest quality materials, and are comprised of a cellulose sponge with a stainless steel metal mesh backing, enclosed within a thick, rigid, rubber casing. These electrodes are the industry standard for sponge electrode based stimulation. You may want to consider adding replacement sponges to your order. It’s a good idea to replace your sponges regularly to ensure you receive the best results, and the most comfortable tDCS sessions. We recommend replacing your electrode’s sponges every two weeks, or every 7 tDCS sessions (which ever comes first). However, optimal results can be achieved by using new sponges for each session. Looking to save some money? We recently introduced discounted replacement sponge subscription plans so you can have plenty of fresh sponges on hand when your originals need replacing. Glad to hear they’re working for you! Worth the money. I prefer these over the new silicone electrodes. Amrex uses a rubber-like material that doesn’t grab and pull at your hair like silicone.